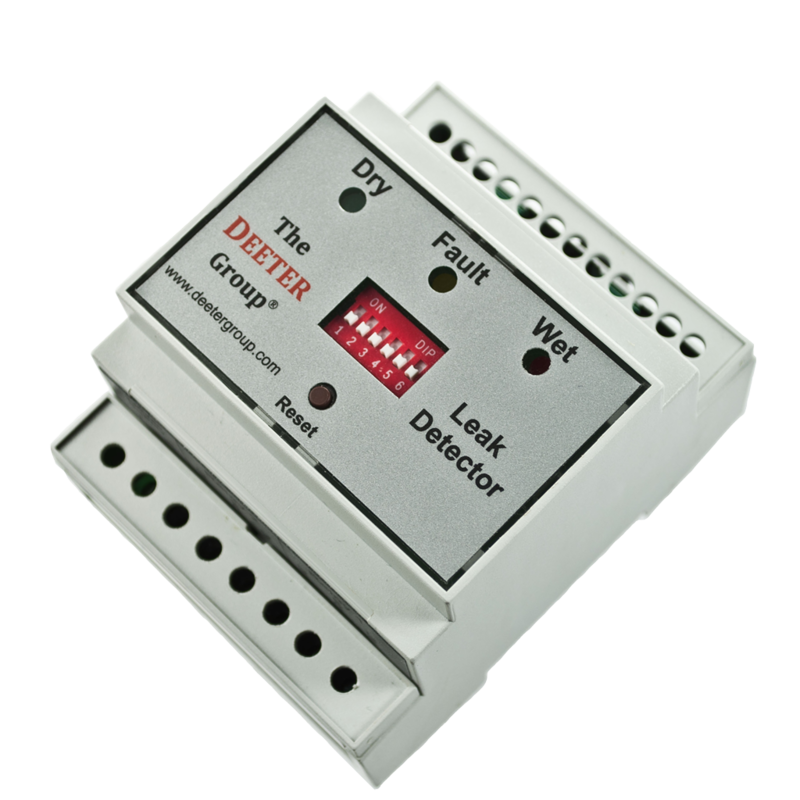 Intelligent Leak Sensor | Leak Detection System - Deeter Electronics Ltd. 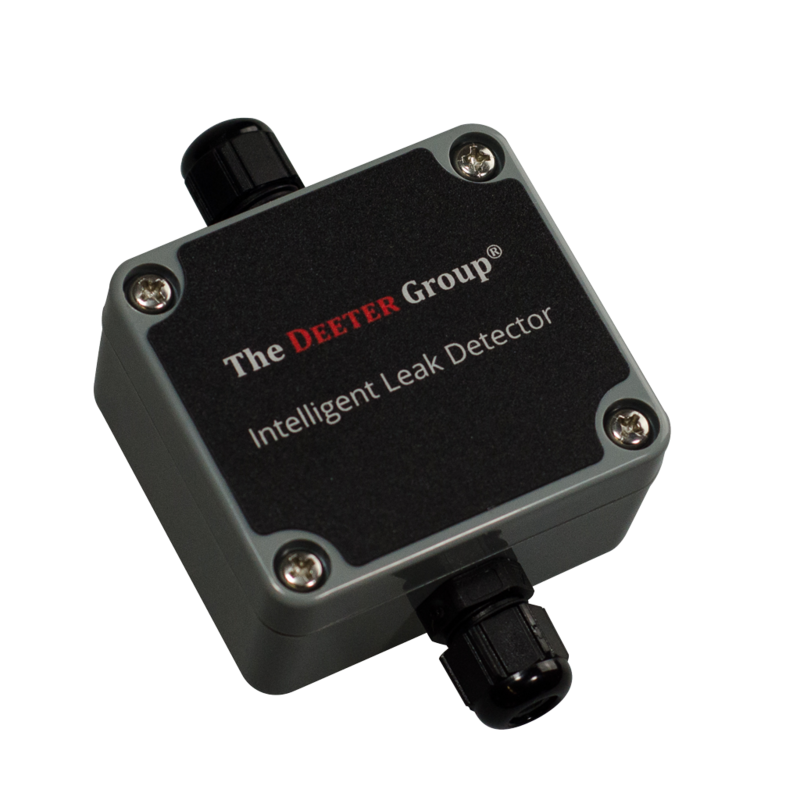 Intelligent Leak Sensor | Leak Detection System - Deeter Electronics Ltd. 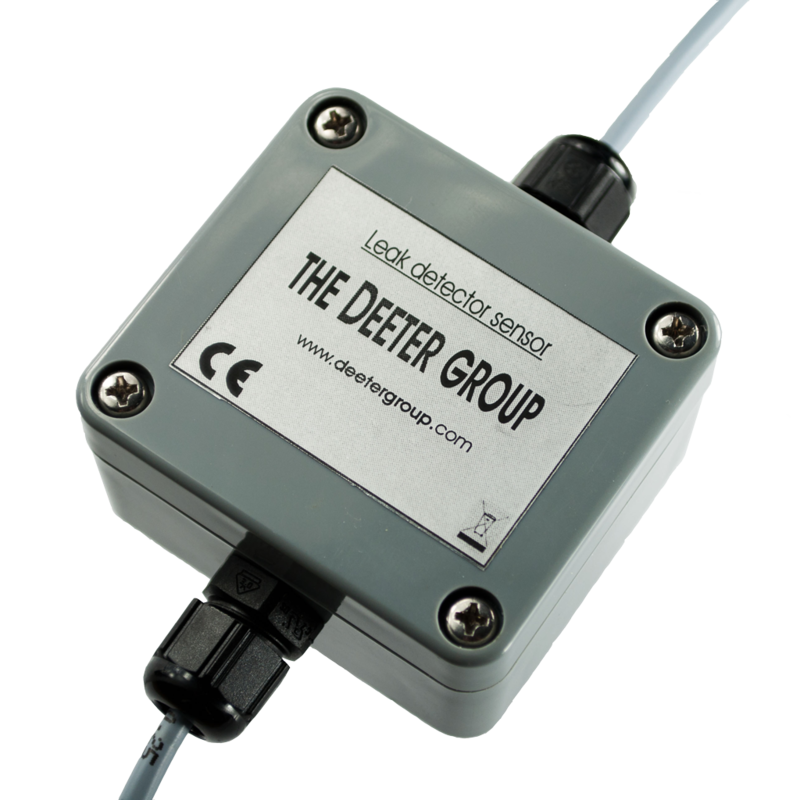 Intelligent Leak Sensors are housed in ABS enclosures rated to IP65 and have a pair of stainless steel sensing probes protruding through the underside. Sensors are linked in a daisy-chain configuration using 4-core cable which also provides power to the sensor. 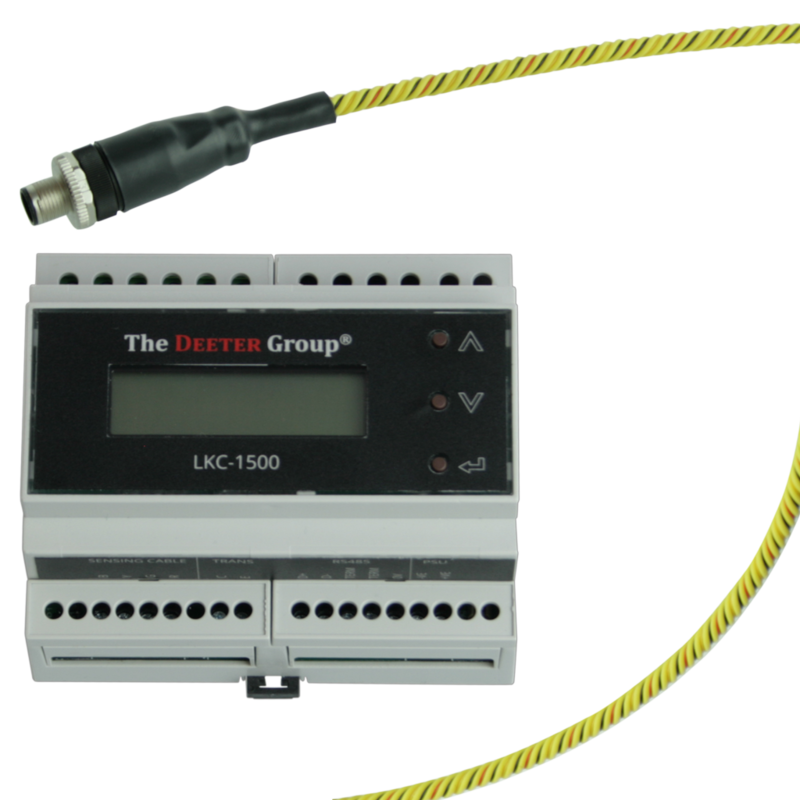 The maximum number of sensors in a system is 80 and the maximum cable length between sensors is approximately 200m. For cable runs greater than 200m the user can fit an extra sensor in the line to act as a signal repeater.